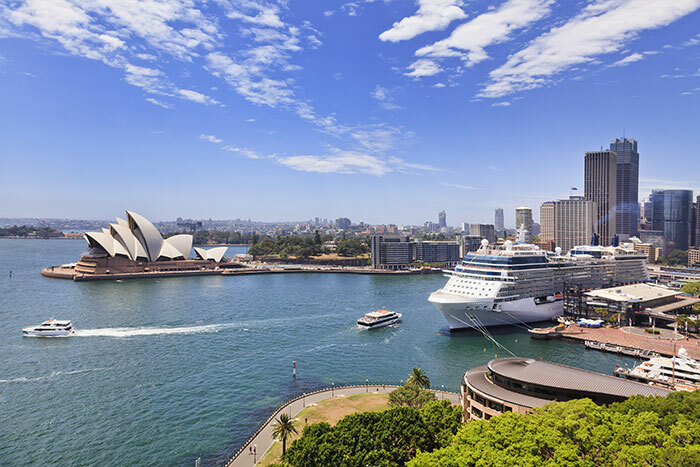 Sydney’s beaches, Opera House and Harbour Bridge are at their best viewed from the water, and cruising out of Sydney, sunset cocktail in hand, is a wonderful way to start a voyage. Surely this has to be one of the highlights of cruising anywhere in the world. En route to New Zealand, two days at sea gives me time to wind down into cruise mode and get to know Celebrity Solstice® – a spacious, elegant ship that appeals to sophisticated couples and solo travellers. Its facilities are fabulous, and the friendly service is better than you’d find in many high-end hotels. Outstanding features include The Lawn Club, half an acre of manicured lawn on deck 15 where you can play boules, watch live glass-blowing shows, catch a film on the outdoor screen or rent a private cabana, all while enjoying fresh air and endless ocean views. A modern, luxury line, Celebrity Cruises is renowned for its world-class dining, and the Solstice has plenty of restaurants and cafés to choose from. Grand Epernay is the impressive main dining room: a light, airy space that spans two decks. Extra-charge restaurants include Murano – my favourite – which offers classic and contemporary French cuisine; an Italian steakhouse, Tuscan Grille; and Silk Harvest for Asian-fusion dishes. But it’s not all about eating. Our first destination is Fiordland, in the southwest of New Zealand’s South Island, where we cruise through the majestic Dusky, Doubtful and Milford Sounds. The area is one of the rainiest places on the planet but that doesn’t make it any less magnificent. On the other side of the island, Akaroa is a natural harbour that is home to Hector’s dolphins, one of the smallest species in the dolphin family. Swimming with these rare, protected mammals, only found in New Zealand, is unforgettable. 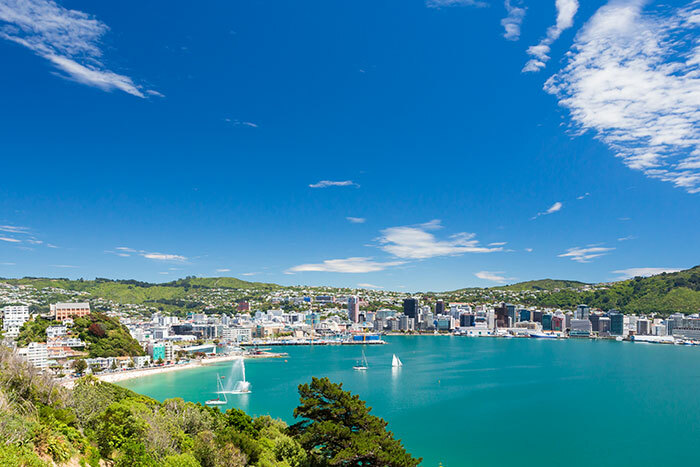 A compact, culture-packed capital, Wellington is our introduction to the North Island, before we cruise up the coast. At Tauranga, a day trip to Hobbiton awaits fans of The Lord of the Rings. Keen walkers will enjoy hikes in nearby Kaimai Mamaku Forest Park. 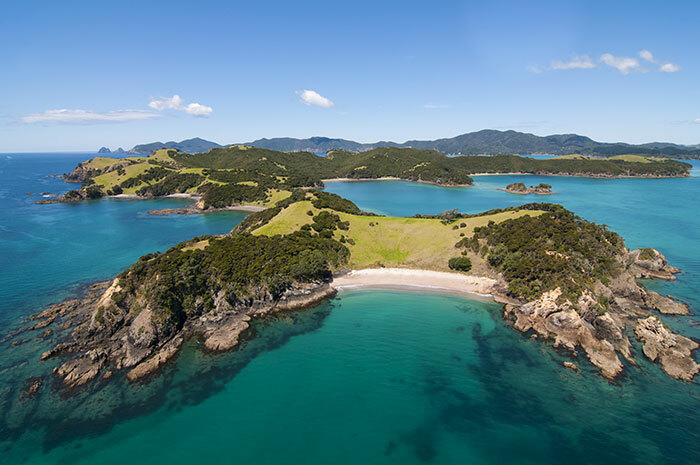 At the Bay of Islands, on the northeast tip, a visit to the Waitangi Treaty Grounds is a must for its introduction to the country’s Maori heritage and the history of settlement – the charming seaside town of Russell was New Zealand’s first sea port and first European settlement. Wine lovers shouldn’t miss the ferry trip to the vineyards on Waiheke Island. Arriving in Auckland as the sun rises is just as spectacular as departing Sydney at sunset. Here, sailors can take a spin around the harbour on an America’s Cup yacht, thrill-seekers can bungee off the 192m-high Sky Tower, and foodies can tuck into fantastically fresh local produce. But despite the diverse charms awaiting me in this thriving city, I wasn’t the only passenger reluctant to disembark! Chat to one of our Cruise Experts to find out more about travelling from Australia to New Zealand by sea and this Celebrity Solstice itinerary.